of Old Cities talks to me about that unique moniker and relocating from Israel to Australia. I was keen to know about the new single, Again, and what we will get from the Old Cities I E.P. White tells me about his musical upbringing and what life is like in Australia; if there are going to be any Old Cities dates; which artist he’d support if he could choose any – he recommends some new acts to follow. Hi, Jordi. How are you? How has your week been? For sure! My name is Jordi, A.K.A. ‘Old Cities’; hailing from the North Side of Sydney, Australia. 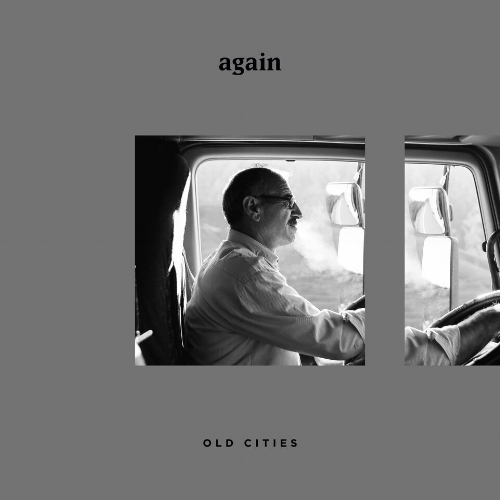 Old Cities is my band and creative outlet, and I’d describe it as Indie-Pop-Rock. When I’m not writing or recording for my own stuff, I’m writing and producing with a whole bunch of other artists. How did that name, Old Cities, come to be? Is there a reason for that moniker? When I was initially looking for a band name, my wife threw the idea of Old Cities at me. She had been looking at a map of Nazareth, Israel (where I was born) and had found a suburb called The Old City. This struck a chord with me and made me reflect on the concept of an old city. If you think about all the old cities around the world we either restore, preserve and show them off; or we let them lie in ruins and hope that no one finds them. This can be thought of as a parallel to moments in our lives; some stories and moments we share and show off to the world while others we hide away and hope no one ever finds out about. The songs born from Old Cities expresses both these moments of love, beauty; hurt and shame. Talk to me about the single, Again. What is the story behind that one? This track is one of my personal favourites. It’s a ‘close to your heart’ kind of song. I wrote it sitting down at the piano and it was one of those rare gems that just came together right there in the studio that afternoon. It’s a song about the journey, about moments in life where you find yourself inevitably back in the same familiar places you thought you’d left behind. It embodies the nostalgic joy found in familiarity, but also the frustration of stagnation. It is from the E.P., Old Cities I. What might we expect in terms of themes and songs on that E.P.? The E.P. is a collection of six tunes - of which three are concerning Again – and is out now (you can check them out on Spotify, Apple Music etc. etc.). This E.P. is actually the first side or half of this body of work. In the same way that a record has two sides; I decided to release it in two sections, in an effort to give people time and space to enjoy both sets of songs. The themes on Old Cities I are fairly diverse: love, loss; humanity, hope and hopeless romanticism. Jordi. What was it like being raised in Israel and growing up around the beaches of Sydney? How did you come to meet the band you play with? Well…I would love to say I remember Israel as a kid but we were back in Sydney before I could walk so, needless to say, I don’t remember anything of any value from that time in my life. I’ve been back though and it’s a cool country; very diverse in both climate and culture. It is crazy to see all its historical significance and visit the places that you might have heard about in Sunday school. Growing up in Sydney, though, was a dream! Sunshine, some of the world’s best beaches and plenty to do. I grew up a stone’s throw from what some people may know as ‘Summer Bay’ from an Australian show (Home and Away). The boys I play with all happen to be good friends of mine. We’ve known each other since early-high-school. It is seriously incredible to have best friends that are amazing musicians. They’ve really helped bring this project to life! Is Sydney thriving in terms of music and sounds? What are the advantages of working there? Sydney’s music scene is pretty good; reasonably small on a world stage, but big enough to get some pretty decent acts coming through town too! I feel like it is definitely building at the moment: there seems to be new talent popping up all over the place! At this stage, there is nothing concrete in the calendar as yet but we are in the midst of organising some dates in Sydney and surrounds so stay tuned on our social media to keep up to date. Do you record music in the studio with the band or only on the road? How does the music you make in the studio differ to that of the live gigs – do you have a different set-up and style in each setting? I basically live in the studio! I love it! I write and produce both for myself and other artists. Having said that, I’m always creating so, when I am out and about, I definitely have my travel rig that allows me to keep on working where ever I find myself. Sometimes, the challenge of not having all your usual tricks and equipment can help you find new approaches to making music! I love that too! Might you head to the U.K. at any point? If you know anyone wanting an Aussie band to support a tour up there then reach out and let us know. Haha. We’d be keen, for sure! I also have a few friends up there so might make a trip and see if we can slot in a couple little shows on the side (smiles). 2018 has already been a massive year for us: we’ve put out two singles, including Again, and two videos with preparations already in motion for the third single - and the Old Cities I E.P. There is also a plan to have Old Cities II out by the end of the year - or January next year at the latest! We’d love for as many people to hear these tunes as possible. The most rewarding thing for me is seeing people resonate with your songs and finding some kind of hope or meaning through the tunes that I make. There has been so many cool things that I’ve been able to do through music: traveling, writing and producing etc. But, I think the one thing that really sticks with me is the ability that music has to bring people together. There is a certain vulnerability that comes with music collaboration and I love the way that it can make friends out of complete strangers. 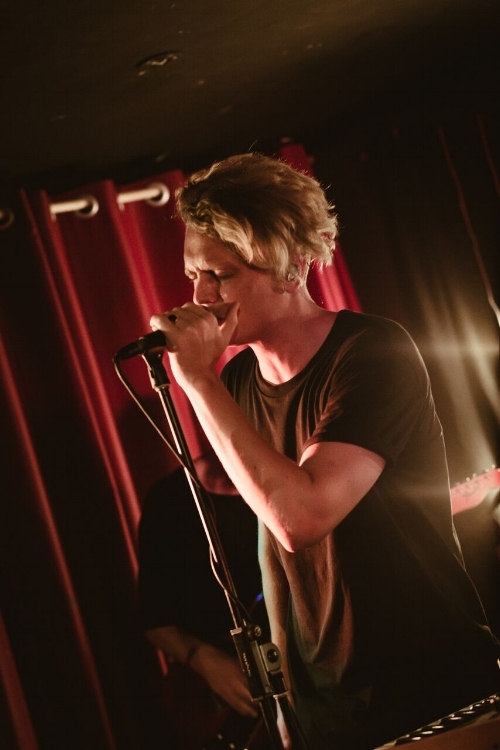 As far as a specific moment goes; playing the Metro Theatre in Sydney was pretty cool. That is a tough question…I’m torn between Coldplay, One Republic; Beyoncé and so many others…but, I think I’d have to go with Coldplay just for the chance to meet the guys who I have looked up to for so many years. I’ll assume you mean the backstage snacks/drinks?! Anything in the world?! Probably an epic Japanese BBQ with a few good Japanese beers and, definitely, some top-shelf Japanese whisky…can you tell I’m in a bit of a Japanese appreciation phase?! Stick at it and be prepared to do the hard yards. Also; just keep making music, pushing the boundaries of your own thoughts and honing your craft. Not really up-and-comers any more, but if you haven’t yet checked them out get into Middle Kids. I just saw them play a show at the Sydney Opera House and it was all time! Also, check out a couple of local acts down here in Aus: LANKS, Glades, Holy Holy and London artist Lucy Mason. I love a good bonfire, a good drink and some banter with some good friends. I actually also unwind on aeroplanes (I love them) and travelling; experiencing new places and different cultures. Give me a snowboard or even a great book, too! Give Mistake from Middle Kids a spin…you won’t regret it!